Warrington Market based Café at the End of the Universe is seeking to raise funds to help towards opening their sister venture Dark Side of the Spoon, which will be an ice cream, waffle and dessert café in Warrington Market. The crowdfunder which will go live on Friday 22 June aims to raise the £5000 in seven days. 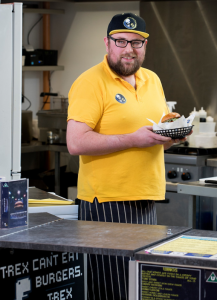 Café at the End of the Universe which specialises in gourmet burgers, hot dogs and fries (usually with a side order of terrible puns) and opened at Warrington Market in August 2017. 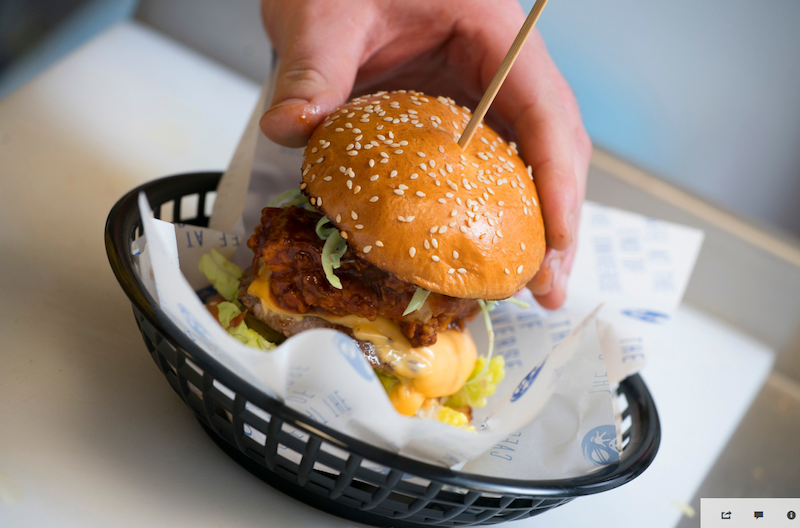 It has become a destination venue with queues forming at weekends to sample their wares which might include the likes of ‘The Pennywise’ – double beef patty, candied bacon, American cheese, fairground onions, nacho coated jalapeno poppers and nacho cheese sauce on a pretzel bun perhaps with a side order of ‘Sci-Fries’? Their amazing hand crafted burgers and reputation have garnered a huge following on Twitter, Facebook and Instagram with hundreds of consistent 5 star customer reviews. ‘Expect food of the same quality except that this will serve those with a sweeter tooth. All served up with the usual free side order of fun and puns, of course’, says Andrew. ‘Café at the End of the Universe has been a great success. We love it here in Warrington Market and have a loyal and growing following of regulars who appreciate our food. It seems a natural step to open Dark Side of the Spoon. It will complement ‘Café at the End of the Universe’ and offer customers a chance to grab an ice cream, dessert or a cracking brew in a seated environment. Whereas Café at the End of the Universe has a Sci Fi theme, Dark Side of the Moon will also have a musical twist. We are hoping that people will choose to support us in our Crowdfunding venture. You can do so with as little as £10 which will get you your name on our founder’s wall. £25 will get you an exclusive rainbow VIP loyalty card. Other rewards include ‘build your own sundae’ and our cool new ‘On Wednesdays we wear pink’ aprons. The Crowdfunder opens on 22 June 2018 and details can be found on social media @DSoftheSpoon.